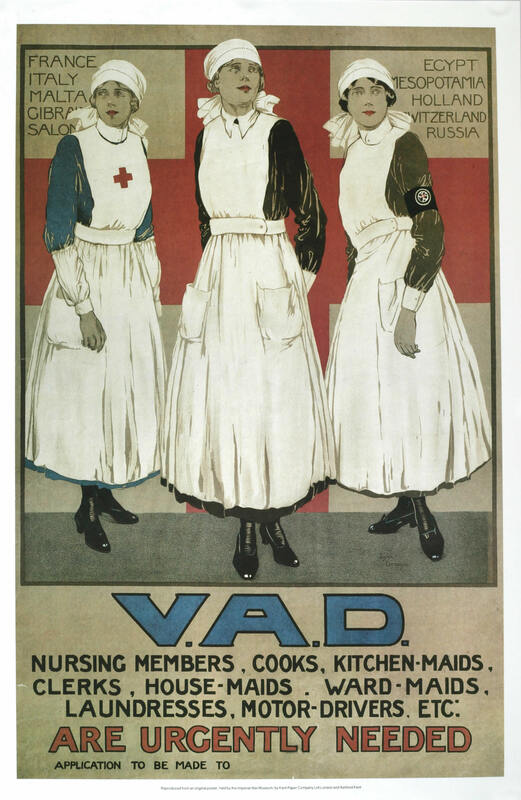 Recruitment poster seeking women for Great Britain's Voluntary Aid Detachment (VAD). While VADs lacked the formal medical training of nurses, they provided medical assistance to countless patients during the war. By the end of 1917, more than 1,800 Canadian women had become VADs, and at least 500 were sent overseas.